One of the most healing activities that you can engage in, is to ‘listen in’…. …to silence your noisy mind that constantly talks about what you should do, should have done, need to do and what is wrong with you etc., etc. When that incessant babble is turned off, and silence arrives, a whole new world of sweet harmonious reality can open up to you. You begin to blend in with your surroundings, nature and the universe. Your individuality is not lost but enhanced. Energy healing is not connected to any religion or lack of religion. It has nothing to do with new age or new anything. As a matter of fact, energy healing is based on ancient principles that combine the science and spirit of healing at the deepest level of experience. Subsequent to my experience of childhood sexual abuse I found myself in talk therapy for many years of my adult life. Although it helped me identify where I needed to heal, it didn’t necessarily show me how to do so. 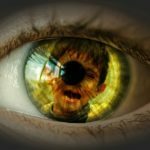 As a therapist, parent and foster parent I experienced triggers in relationship to my clients, my children, all of my children (especially an inherent need to protect that may have been experienced by my children and others as ‘helicopter parenting) and I had no idea what to do with this fear , nor did I find anyone who could help me stop the internal ache on my quest for peace. It wasn’t until I found an energy healer that my true internal transformation began to occur in my 40’s. All of my relationships shifted, boundaries felt clear and I developed an understanding of myself that I had never known. I felt confident, secure in me and happy for the first time that I could remember. I knew for the first time in my life, what my life’s purpose is and how to act on that in my work and in my personal relationships. 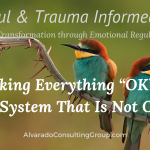 My consulting and training in Mindful and Trauma Informed Care are based in the scientific foundation of our emotional regulatory system and the neurophysiological impact of trauma. 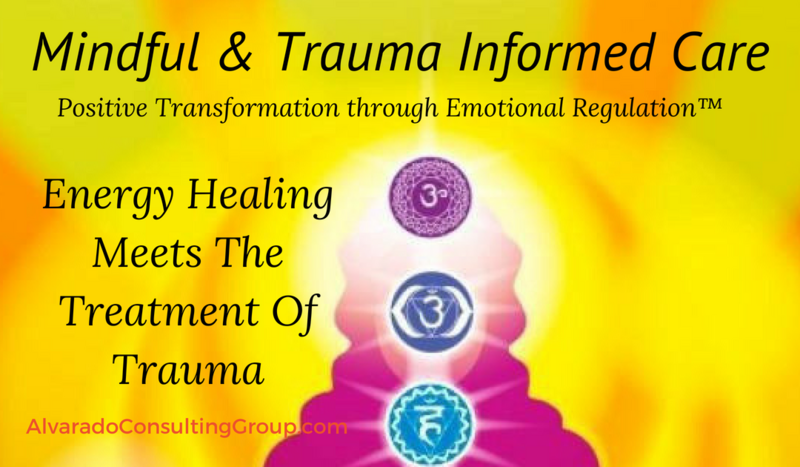 I offer a response to the impact of trauma at the intersection of this science and spirit; yet working with this energy healer ignited a spark within me and ultimately inspired me to become a private practitioner myself. 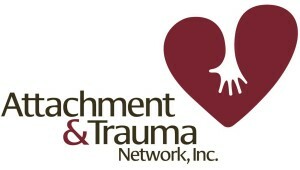 In addition to my traditional graduate degrees and clinical practice, I offer holistic energy healing for many seeking to stop the physical, psychological and spiritual impact of trauma. 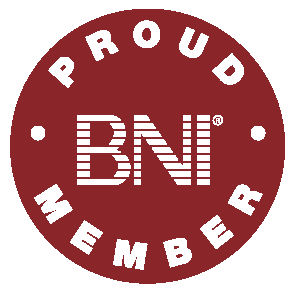 And, it is integrated into every workshop, training, consultation or session that I facilitate whether with 1 or 1,000 people. At the most fundamental level, the human body is made of energy. You are an Energy Body. The energy body, or subtle body, is a system that carries life force energy through and around us, connecting us to the earth, the divine, our higher selves and each other. You know when you approach someone whose energy feels good, or not! You know when someone feels toxic, or their energy brings you peace. Your energy may wax and wane depending on who you spend time with. This energy body is undeniable; yet all too often misunderstood. A basic comprehension of this system is crucial for physical, emotional and spiritual health. The energy body is invisible to most of us; however, we feel and react to it constantly, whether we know it or not. This system is made up of several components that work together, just like the other body systems. The aura is a field of electrical energy that extends out from your body in a bubble. It is made up of layers of energy that emanate out from your chakras. When viewed by someone who knows how to see auras, it has color, based on the vibration emanating from it. The aura, your energy, changes constantly in direct relationship to your physical and emotional health. You can feel your energy change~ you are not making this up. Yes, you actually feel it, and it serves two very important purposes: protection and information exchange. Your aura is a barrier of energy between you and the rest of the world. When it is healthy it gives you a sense of security, insulating you from the energies around you. You have clear boundaries and can tell the difference between your own needs and emotions and those of others. When it is unhealthy you feel anxious, attacked, like the energy of everyone around you is bearing down on you. You have poor boundaries with other people and tend to take on the emotions and problems of other people. ‘Their anger becomes your anger’~ ‘their low energy becomes your low energy’. Aura or energy health is key to emotional health. The human need for security, safety and acceptance is fundamental; we cannot function past survival mode without it. Having a strong aura, or energy field, provides you with an inner knowing that you are safe and protected, and that you can go out into the world and take risks, seek what you want and succeed. Your aura serves as an interactive field of information. 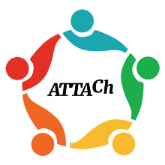 You use it to exchange information with everyone you meet. You receive this information from everyone you come into contact with. You may not realize that this happens, but if you think about it for a moment you will remember experiences where you just “knew” something about someone else. Have you ever met someone and felt instantly drawn to them, like you already know them or want to get to know them better? Or, have you met someone you instantly disliked, felt suspicious of, or were afraid of? Where did this information come from? You “read” their aura with your own. Many refer to this as energy, or vibe, or vibration. ‘Their energy was so cool’, ‘man, I love his vibe!’, ‘her vibration was so high I could feel it!’. When we are conscious of them, we can feel our auras and sense changes in them with our physical senses. This is primarily an unconscious action, but is key to our relationships and personal safety. Becoming conscious of our own and other’s auras supports our healing and transformation. Have you ever been standing in the grocery store line and felt someone step too close to you? They didn’t touch you, but you felt them enter your space. This is your bubble, the layer of your aura that is at arm’s length. This field of energy is a constant source of information about the world around you. You react to it, adjusting your own behavior based on what you feel from your aura every day. You walk into the break room at work and there sits a peer. Immediately you turn, silently and leave hoping not to enter their energy field and to prevent them from entering yours. Their ‘energy’ is toxic. You are in need of a new social worker. You have interviewed many with the qualifications you posted but, not one of them ‘feels’ right so you continue to interview. You are having a deep conversation with your partner. You ‘feel’ them begin to pull away and adjust what you are saying and your body language until you feel them re-engage. You find yourself going to bed much earlier or much later than your partner and sleeping curled up in the corner of your king size bed without moving because the energy between you has not been so great lately. You walk into the kitchen and the child who has lived with you for years and continues to live on in their trauma is already there. You realized that their ‘energy’ drains you. You enter a room and feel the tension between two people, you can tell they have been arguing even though not a word is being spoken. Subsequent to each of these examples, what do you think happens to that ‘feeling’ you have in your body. Where does it go? In general, you react to information from your aura unconsciously. Our goal is to bring this to a conscious level and to awaken to the power that it offers in your healing journey by helping you to release this energy that over time, gets stuck in both your energy and your physical body. Just as trauma is stored at the cellular level of your physical body, trauma is stored in the energy body too. The release from both is imperative for true healing to occur. 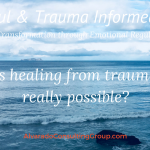 Energy healing, when offered by someone is who is trauma informed, IS trauma informed care in every aspect. Some people have a natural ability to see aura, but it is a skill that can be learned by everyone. There is less value in “seeing” the aura visually and more value in learning to intentionally “feel” and interpret the information that is coming from someone’s aura. The chakras are energy centers in the body that correspond to different areas of physical, emotional and spiritual functioning. 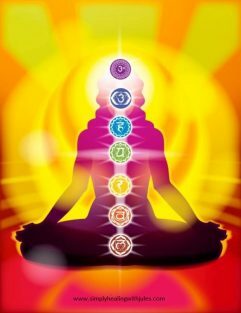 There are 7 main chakras, although there are many more, smaller chakras throughout the body, as well as above and below the body. The chakras are connected to one another through channels of energy that run throughout the body. There is a constant cycle of energetic breath in the body, new energy being introduced, and old energy being released. You have the power to move your energy through your body with your breath. The breath is a bridge between what we feel now and creating what we want to feel. Inhale deeply and pause; exhale until all the air is out and repeat 2-3 times slowly. You WILL feel differently; better. Your root chakra is the foundation of your energy body. It sits at the base of your spine, in the center of your body and runs down your legs to the bottoms of your feet. It is generally viewed as being the color red. It is the center of safety, survival, and stability in your life. When it is balanced you feel a strong sense of security and groundedness that allows you to try new things, take risks and enjoy your life. When it is out of balance you may feel afraid, insecure, and the need to manipulate or control things in your life in order to feel safe. Those stuck in a fight for survival, who see red, are experiencing a root chakra completely out of balance. (Restoring this chakra to vibrant health calmed my anxiety more effectively than any talk therapy ever did. My fight mode has been put to sleep ? and surfaces only infrequently now when I am feeling the need to defend myself or my children. You are confident in who you are and know that you matter. You can express yourself creatively and you are flexible. When the sacral chakra is out of balance you feel stifled, you question your worth and can be rigid and judgmental of yourself. The balancing of my sacral chakra calmed my need to control people, places and things and has allowed me the freedom of flexibility that feels so sweeeeeT! Your solar plexus chakra is at the base of your sternum. It is usually yellow and is the center of personal power, will and self-esteem in your life. It is your powerhouse and governs how you extend your will into the world. When it is balanced you are confident and strong and you stand up for what you want. When it is out of balance you can feel weak, allow yourself to be controlled by others and lose sight of what you really want. You can also become defensive and angry, using your will to control those around you. The work around my solar plexus chakra helped me to transform my long term life relationship into a healthy one with new relationship dynamics that allow both of us the freedom to be who we truly are, and to still love one another deeply. The anger rarely returns and when it does, it is very short lived and easily forgiven. Your heart chakra is in the center of your chest. It is the center of love and all relationships in your life, especially your relationship with yourself. It is green and when your heart is balanced you have a clear balance between giving and receiving in your life. Your relationships are nurturing and supportive and you have good boundaries with other people. When the heart is out of balance you may withdraw from relationships to protect yourself, give too much, have poor boundaries and resent your relationships. The balancing of my heart chakra saved my life. I learned to be loved, to feel worthy enough of being loved. I was no longer only giving until I could no longer stand, but now balance what I give and what I allow myself to receive. Life, love, family and relationships bring so much joy to my daily experience now! Your throat chakra is the center of communication in your body. It governs honest communication, active listening and self-validation. It is generally a shade of blue and is in the hollow of your throat. When your throat is balanced you speak up for yourself, share your needs and feelings honestly and are willing to hear what other people have to say. When it is out of balance you may hold your emotions and needs back, be dishonest about how you feel, or lash out when you feel discounted. As my throat chakra is being more and more balanced, I am able to tell my story more from a place of empowerment and desire to serve others, than from a place of victimization. As a matter of fact, I am not a victim. I fully embrace all experiences of my life as having been a necessary step to where I am and who I AM today. I speak my full truth with peace, love and healing for all; yes, even for those who knew not what they were doing when they did it. I say with courage and conviction, all is well. Your third eye is in the center of your forehead and is usually indigo or purple. It is the center of intuition in the body. You receive intuitive insight here, although intuition is actually perceived and processed in many areas of the body. When you open your third eye you have a strong sense of things, you see, hear feel and or know truths that guide your life. You don’t always know how you know, you just know. When your third eye is out of balance you question your intuition, try to prove it or rationalize it away. This one was and is huge for me. I have denied my connection to spirit, my intuitive capacity and my ‘knowing’ for most of my life. As I step into third eye balancing my intuition has grown exponentially. During a healing session last week, I ‘saw’ my client at her birth. As I recounted to her what I saw after the session, she wept as she shared the story of her birth trauma that she had not previously disclosed to me. It was healing for us both, needless to say. And, we were able to clear some very old, stuck energy making room for expanded experiences now. You feel a strong sense of who you really are, beyond just the mundane of this lifetime, a strong sense of connectedness. When your crown is out of balance you may feel insecure and small, experience symptoms of anxiety and depression and feel as though you are disconnected. As my crown chakra is being cleared and I continue to focus on my healing here, I am completely, without any doubt, aware of a divine presence, God, energy, source, creator, whatever you call it, that is holding the rim for us all. This energy is wisdom beyond the human condition; beyond what my brain or even my mind might conjure up. This is the part of me now that forgives with ease, does not judge, finds kindness in spaces where before I could not, feels compassion and a depth of love for everything and everyone that fills my entire being in a way that traditional therapy could not touch. I live in gratitude, I am full of peace and acceptance and see the beauty in the cosmos, the people the experiences and even in the pain. I know now that it is not about how much darkness there has been in my world, or in the world at large; it is about how I, how we, show up in that darkness as one beacon of light. Every time. Your aura is an electrical field of energy that emanates from each of your chakras. The health of your aura is in direct relationship to the balance of your chakras. They are connected to one another on a very deep level. Your aura projects out into the world the information that your chakras are emanating. If you feel grounded and safe in your root chakra, you project that out from your aura, if you feel weak and insecure in your solar plexus, you project that out into the world. The aura is a combination of all of the information coming from your chakras and your aura colors change as your mood, emotional health and spiritual connection change. Sit comfortably with your bare feet flat on the floor. Rest your hands, palms up, on our thighs comfortably. Simply breath in and out as slowly and deeply as you can, 3-4 times. Notice anywhere in your body where the breath seems to stick, or not flow as naturally. Notice any space of tension or tightness and move your hand to that space. Now place your hands on each of your chakras, (for your root chakra simply hold your hands below your pubic bone and in the air if that is more comfortable for you) reading my notes above to remind yourself of what each chakra represents. Take your time with this, slowly read the descriptions and examples that I provide and sense whether any of those feel true for you today. Breath into that chakra area 3-4 times envisioning the color of that chakra, and become aware of any emotional or physical sensation that may come up. 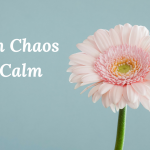 If you find stuck energy blocking your flow of breath or the ease of your breath, simply remain there breathing in the color of that chakra and breathing out grey as you release whatever feels stuck. If you don’t have sufficient time when you initially try this, come back to this exercise when you are alone and have more time. An experienced energy healer can help you move through with actual healing within one session; and a true energy healer does not need to be present with you to do this work with you. Energy healing often takes places over the phone with much distance between healer and client. Energy, just like love, knows no distance. It just is. Might there be a possibility of healing that goes beyond the objective scientifically validated, traditional models that most of us practice? Do you sense healing at the intersection of science and spirit? When we listen in and follow what we hear, we rarely get sick. When we attend to the discomfort physically, emotionally and spiritually we seek balance and a sense of relief from that discomfort. Any discomfort in your physical or energy body is a direct message to you that something is out of alignment with your true self. Where is the discomfort in your body/life? What is my thirst? What is my longing? These two questions will carry you to what you need to do next in order to accomplish your work, even if you don’t know exactly what your work is yet! At the intersection of science and spirit, you begin to realign yourself with your deepest longing and the greatest good that you were sent here to offer. This is healing. This is such a great read and reference as I prepare for my Reiki Master in July. Thanks and Love! This is really an informative content you shared. 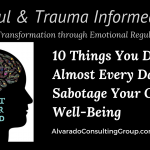 Trauma is old energy trapped in the body, gently releasing it with bodywork and talking therapy can transform negative thought patterns and behavior. I agree with you. Listening to ourselves is extremely important. This seems to be easy to forget during our busy lives being all fastened in the cartwheel of the stressful 9 to 5 we live in. I have been lately having a lot of problem finding time for myself and I feel as I am getting lost. I need to focus on myself more.